Thought first it was horrific and severe. Dear God, please show me rescue, don’t retreat. I need you, long to once more hear your voice. Release me, Lord; allow me to rejoice. Back to the ocean where I might be free. My burdens lifted, comforted and purged. In this surrender we did deeply merge. Your light and love in me did hell explode. I’m once again caressed by your vast grace. good poem – blessing to read! Lovely poem 🙂 I’ve been struggling with fear and worry for a long time. Thank you for leading me to Tom’s blog. The picture, then the words, then the pondering, and then the seconf picture. Wow!!! The words came first, then the pics. 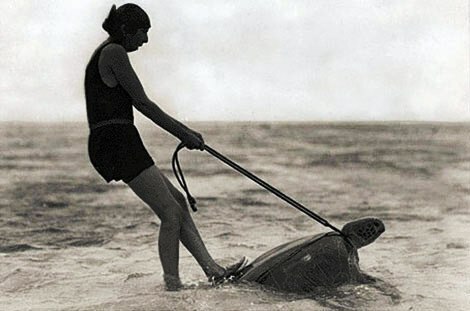 The backstory on the first photo: seems in the ’30s and ’40s people actually used to be so cruel as to prevent egg-laying turtles from returning to the see by flipping them onto their backs so they could have “fun” with them at the seashore. Ride them around for sport. 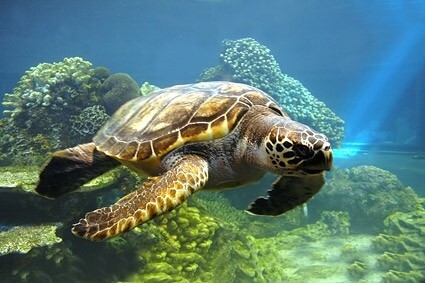 Wasn’t until the mother turtles learned to dive down deep into the water this “sport” was finally considered dangerous. “Wasn’t until the mother turtles learned to dive down deep into the water this “sport” was finally considered dangerous.” And not for the turtles! Thank you. The two elements together made these wonderful words so much more. http://susanirenefox.com/2015/02/15/the-turtle/comment-page-1/#comment-5005 Susan writes such wonderful poetry and devotions amongst other stories. I name long enjoyed her stories please go take a peek for yourself. So happy I wrote something to inspire you Susan to write this poem. What you said is so true. We must constantly be aware that God sees us in our present state and is in our favor. I have always admired what God is doing in your life and your strong ability to persevere in spite of all that’s around us. Truly God is with you. Such a wonderful peace to know that He dwells with us and cares for us. He is our ever present help in time of trouble. This poem fit me to a Tee. I am honored that you mentioned me. You are so precious and wonderfully accepted. I would love to be able to write such beautiful poetry with ease. I will reblog this poem to my site. Thank you, Tom. I kept reading and rereading your post, and couldn’t get the image of the turtle out of my mind. I “googled” turtle images, saw the one from National Geographic and it all fell into place. Bless you Susan. Funny how things come to us isn’t it? Been there, Susan. Sometimes life just dumps on you, but there is Help. I think many of us have been there, Susan. We are buried in circumstance, and allow the enemy’s voice (“Curse God and die!”) to become louder than God’s beckoning whisper. We let the burdens attach themselves like barnacles, when God stands within our reach to scrape them off and extend a hand to help us rise. Love and grace. Always with us. We are all drops in that same Ocean. Lovely reminder Susan. All drops in the same ocean. Beautiful image, Beth.